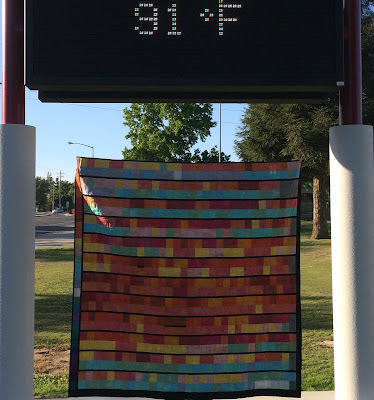 Last year, my friend, Rachel, started making a "temperature" quilt. 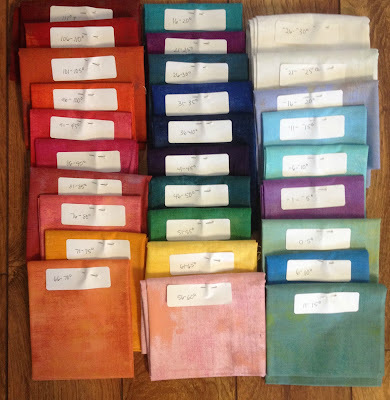 She chose a range of fabrics and assigned degrees of temperature for each color in five-degree increments (you can read more about it here). I was completely intrigued by the whole concept. I had a stack of Grunge fabric and decided to make a few alterations from Rachel's quilt. I would record the high and low of each day. I soon began to realize that a quilt based on Fresno, California, would be, um....repetitious, to say the least. I needed to a city that would have more contrast in temperatures throughout the year, some actual "weather." Mark's brother lives in St. Paul, Minnesota. I knew I would be able to get a wider range of temperatures and it would also be interesting to compare and contrast. It took awhile to assign the temperature ranges. Originally I thought I would go from warm colors, to cool colors, with white being the lowest temperature. I finally settled on white being "freezing" (31 to 35 degrees), with the cool colors getting darker as the temperatures dropped. The bottom picture shows the final color range with the top left square being 111+ degrees and the top right square being anything below -26. Yikes! I kept a daily journal, which was actually really fun. I started cutting and sewing. Because I was recording both high and low temperature for each day of the month, I realized the months themselves needed to be separated, so I used a narrow strip of black between each month, and a grey rectangle for the months that had less than 31 days. Once in awhile I would see that we broke a record, so I inserted a little black scrap--the one below is for breaking a record high held since 1902. And then for three days in a row in July, we broke a record for having the highest lows--I usually have to think about that one for a couple seconds. 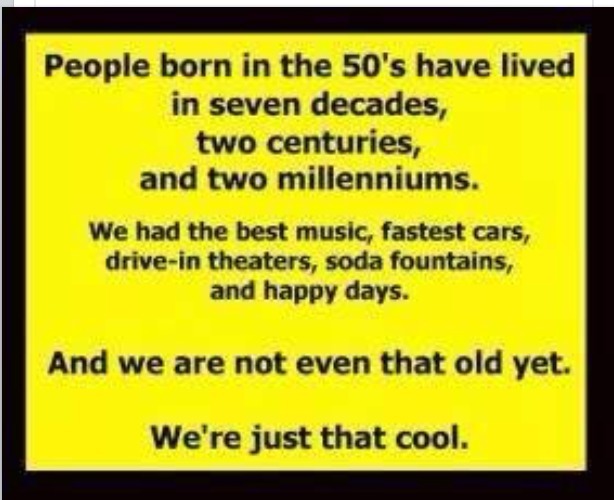 Yep, those three nights just never cooled down. When I told someone I never used the fabric signifying 111+ degrees, they couldn't believe it never got above 110 because it sure felt like it. But of course I couldn't factor in the heat index for Fresno or the wind chill for St. Paul. Sometimes I had a little helper who loved to move the squares around for me. Sometimes I got distracted by other projects. But at the end of the year it was fun to sew both tops together. Darby Myers used one of my favorite quilt designs. Without further ado, here is what Fresno temperatures looked like in 2014. 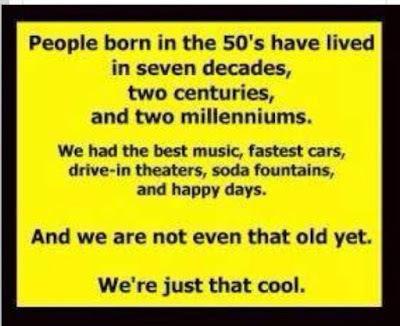 And St. Paul for the same time period. It's fascinating, interesting and fun to see the differences in the two sides. The vertical strip along the left on each side is the temperature gauge. Yesterday Mark and I took the quilt to a local middle school and photographed it beneath the current temperature. Wouldn't you know? 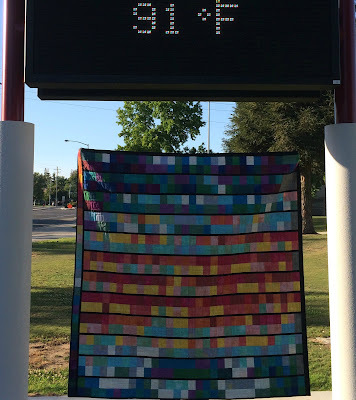 At 6:30 p.m., in May, in Fresno, it was still 91 degrees. Last Thursday Mark and I left for the central coast of California, in a raging rainstorm. All of you who live in places where you have actual "weather," in other words, it isn't sunny 355 days a year, will think this is quite mild. However, when we came back and checked our rain gauge, we had over an inch of rain. That is a lot of rain in drought-stricken California. This picture was taken on an actual freeway, not the carwash (for those of you who remember that I sometimes drive through the carwash pretending I'm in a storm). The sun behind these clouds was so very pretty. Friday night we had dinner at a restaurant Mark had heard about. It is at the very end of a long wooden pier. Really? Just look at this sweet little face. I always end up taking pictures from our room at various times of the day or night. Usually from the very same vantage point. The mornings often start out a little overcast. Then the fog lifts and it is sunny. And ends with a beautiful sunset. The public works department for the City of Pismo is apparently doing some maintenance so they had spray painted a lot of identifying markers on the streets and sidewalks, indicating the sewer lines and water lines, etc. But when I saw this on the sidewalk, my first thought was, "What? Where?" Naturally I had to come back and use it for a photo op. 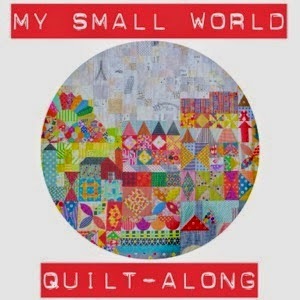 If you have been on Instagram, you may have noticed the buzz about Jen Kingwell's pattern, "My Small World." A team of us--Kerry, John, Megan, Danielle, Lisa and me--are hosting a quilt-along. So if you have been thinking about making this quilt, but are a little unsure about it, please join us! If you haven't done a quilt-along before, think of it as a support group. A group of people from all over the world will be working on this quilt, putting their individual stamp of creativity on it, and there will be guidance, assistance, and lots of inspiration along the way. The quilt is not a large one (33" x 52"), and an Instagram friend, Jo Dymont from Life in Lists, is planning on enlarging the quilt, so there will be hints on how she plans on doing that. This would not be considered a beginner-level pattern, as it involves small pieces and lots of templates, but hopefully it should be relatively straightforward. We will not give specific construction details or measurements from the pattern so you will have to purchase the Spring Special 2015 issue of Quiltmania (Kerry has posted information on where you can find your own copy here), but we will be giving information on techniques, such as English Paper Piecing, curved piecing, applique techniques and much more, along the way. This will give you an idea of fabric requirements for the pattern as it is published in the magazine. But have fun--modify and add your own style with your fabric choices. I plan on seeing how many solids I can incorporate. As I was gathering together fabric, I realized that now is the time to break into some of the precuts I have been collecting and hoarding! Need a little nudge? I found these three mini charm packs. I'll choose three winners on Wednesday, May 20--just leave a comment and let me know if you have ever participated in a quilt-along. I'll make a little confession--I have participated in quilt-alongs before, but usually I get a late start and the quilt-along has been completed long before I even get started. So maybe that doesn't really qualify as a quilt-along! To get started today, check out each of our links for introduction and information. Then approximately every three weeks, starting the week of May 25, one of us will be hosting tips and techniques, section by section. 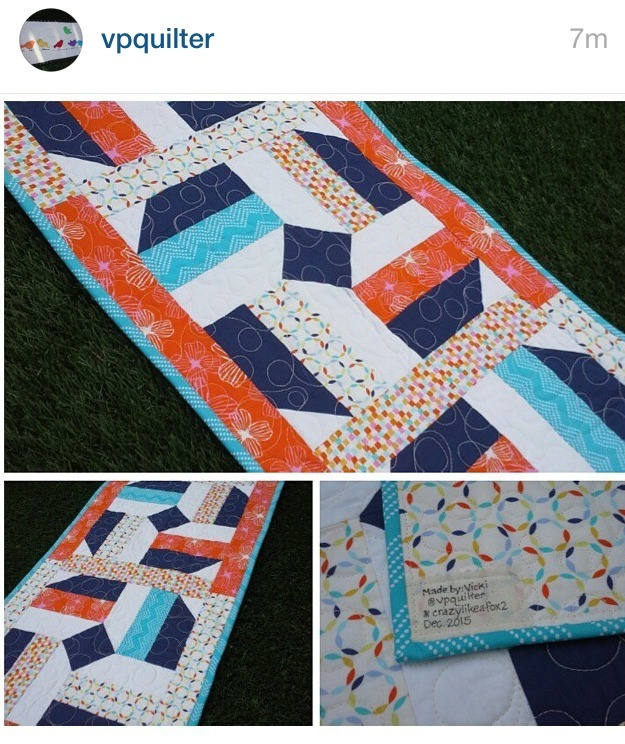 And Jen Kingwell will be watching everyone's progress on Instagram, so don't forget to tag your photos with #mysmallworldqal.